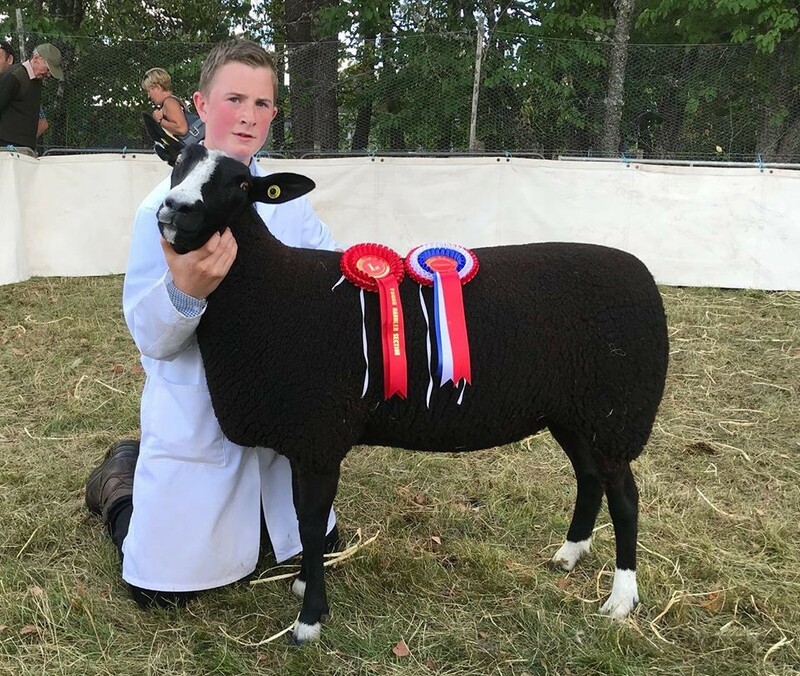 Ryan Sharp, 14 from the Paddock flock was overall young handler at Grantown Show (09/08/18) showing his gimmer. 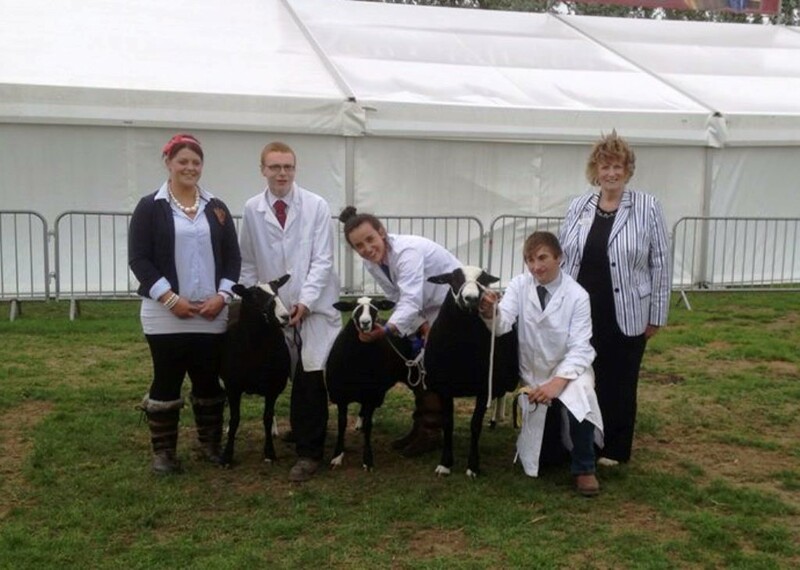 One of our ZSA young handlers out and about and winning his junior class, well done Miles Northmore. On the second day of the National Show held within the Royal Three Counties Show three members took part in the young handlers class. It was especially poignant as for one of them, Poppy Godwin, it was her last young handler’s class as it was also the day after her 18th birthday. It was a hard fought contest between regular exhibitors in these competitions, and three members who are also good friends having met each other through their sheep, and keep in touch via Facebook. The judge was no stranger to these classes in her younger days, Angharad Francis of the Pistyll flock. In the end the final result was 1st Harry Preston, 2nd Poppy Godwin and 3rd Sam Inns, all seen here with the judge, and Association President, Mrs Joan Barker. Once the competition was finished, all three were off around the show ground together enjoying the rest of the show. 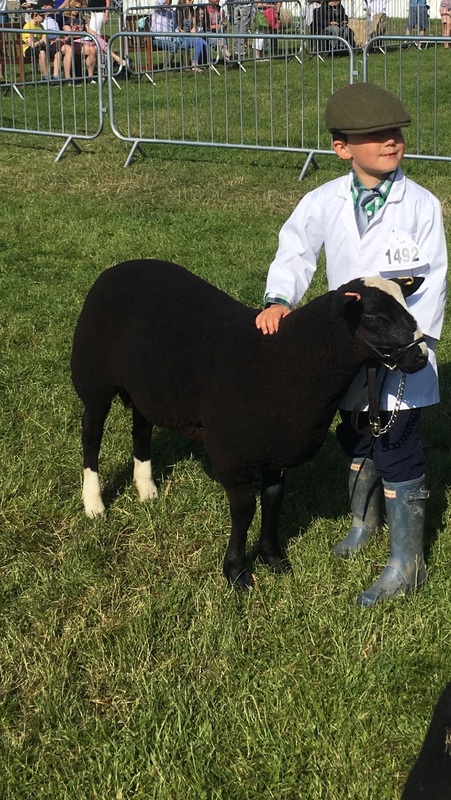 Harry then went on to the Three Counties Show Young Handlers class to represent the breed where he came 1st out of 26 entries in his age group before being piped into reserve place in the overall final. It was then off to enjoy Poppy’s birthday party! 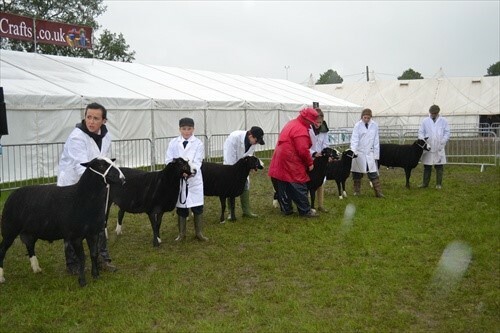 2012 saw the first Association Show Young Handlers classes which followed the National Show held within the Three Counties Show. 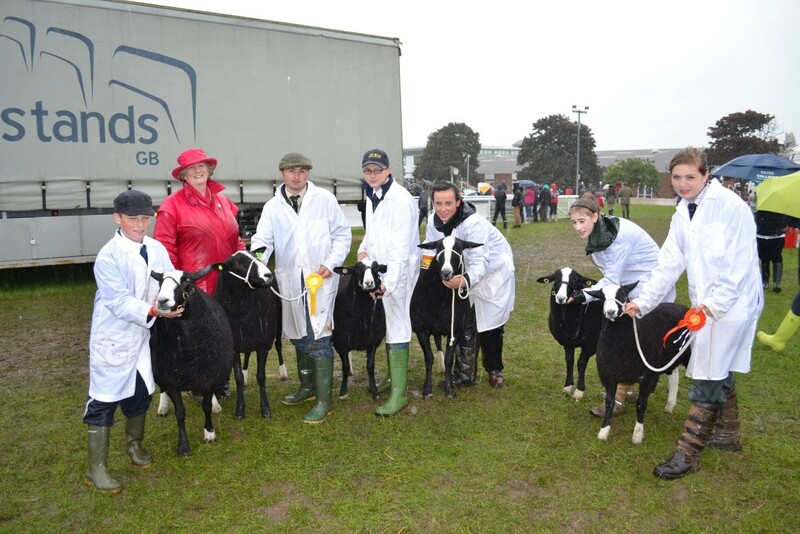 Unfortunately the heaviest showers of the day caught all the young ones whilst they were showing their skills, but as we would expect they all stood firm whilst Judge, Joan Barker inspected them. 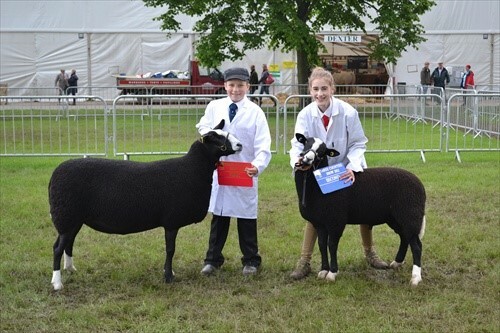 Some of the junior’s also took part in the Three Counties Young Handler Competition and did well gaining first and second in their classes, so an extra well done to Josh and Claire for getting the black sheep out there and noticed! A great weekend was had by all, not just in the show ring, but meeting old friends and making new ones, and riding bikes on an evening in ALL THAT MUD!! Anyone else who gets out there and into the Young Handler’s around the country, let us know and we can feature your success on here for all to see, just please make sure that we have your parent’s permission on the form that can be downloaded from the website link below.